Here it is, my 2018 Goals results. You can find the list and breakdown below. 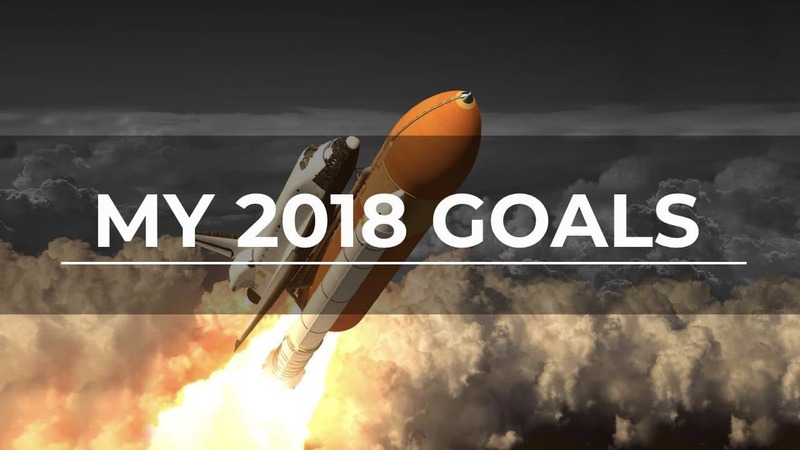 If you’d like to get more information about each goal, what lessons I learned on the way to achieving them, why some of the goals were not reached, watch my walkthrough video on the right. I’ve hired not one, but two. A virtual assistant and a great web developer. December: 1225 (Building mailing lists has become significantly slower after GDPR changes). October: Re-planning the new version. ℹ️ My book has taken a slightly new direction and there will be a good deal of rewriting, however, I’m super excited about it. ℹ️ I’ve started putting a lot of effort into my Instagram, posting inspirational quotes and short video tips (follow me HERE) and I’m committed to breaking the 10,000 followers barrier this year! ℹ️ I was featured in Healthy magazine in September which was very exciting. ℹ️ NEWS: I’m working hard on creating a group coaching program that will help people develop UNSHAKABLE SELF-DISCIPLINE. In there I’ll share all the tools, methods, and systems that helped me to grow my self-discipline from ‘struggling to stick to anything’ to being super productive and accomplishing a long list of goals. ℹ️ I’ve decided to share more details about my workouts and fitness; time spent working out (time), and calories burned. Both figures are for each month specifically. ℹ️ I’m eating overall much healthier as part of working with Serena and Eugene from Whole Shift Wellness. Completed in February. I now work with a kickboxing trainer 1-on-1. Love it. ℹ️ As I started to do a lot of strength workouts (bodyweight mostly) and while I’m losing body fat, consequently I’m also putting on muscle mass which is heavier. Below is a list of books I want to read, I’m reading, or I’ve already completed reading and the ones with the ✅ are recently finished. UPDATED: So I decided to take it up a notch and transfer to digital note taking, so I got iPad Pro and Apple Pen instead. Loving it and saving trees. ℹ️ Although I reached the goal in March 2018, at the moment I’m much happier to put the money back into my business. Do you need new, bigger, better, more exciting goals in your life? In this initial Discovery Session, we’ll discuss what your goals are, changes you want to make, what’s standing in the way, and how I could help you with it. It’s time for us to determine if we’re the right match. If so, we can discuss the next steps. There’s no hard-sell. Write your message here: Share a brief description of your situation, general availability, and your contact number. Thanks again for posting your results. With so many people watching it must make it realy difficult to no give it your all. Just wondering what you are doing to improve your 5k time. Are you just running 5k’s or are you doing sprints, box jumps, deadlifts, squats as well to increase power and speed? I’m in a 5k race in July with my colleagues and want to maximise my improvements between now and then so if you have any tips I’d love to hear them! Likw you I am also working on my upper body as well. We are two people who won’t settle and want everything! For weight, I try and measure my body fat instead – there is a machine at the gym and even if not perfect at least it shows the trend. If you weigh the same but more muscle, less fat etc..
Hi Joe, thanks a lot for the comment. Yes, making your goals public creates massive accountability. Regarding the 5k runs, what I find to increase my fast pace endurance is interval training. I generally do warm up, and then intervals of 30 seconds or 1 minutes fast and then slow. Over time you can increase the speed or shorten the slow segments. I also do just slow recovery runs (12km/h) or longer runs of comfortable pace. I need to slow down my running a bit as I’m getting shin splints (probably overdoing it a bit). Hope that helps. Any questions, just ask. Well done on pushing your own goals and keep me updated. Thanks for the swift response! Intervals/Sprints – I will do the same and add some slower runs. Would love to incessantly get updated outstanding web site! . This is really great. Very inspirational. Thanks for sharing. Copyright © 2013 - 2019 Tomas Svitorka All rights reserved. 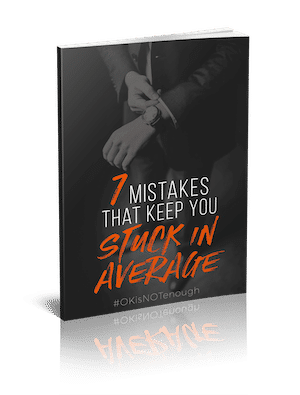 After working with hundreds of clients these are the 7 most common mistakes that kept them stuck. When we corrected them it had a profound impact on their life and growth. Is this what holds you back? The report is on the way! Check your mail and junk mail.